Alexandra Rankin Hunt, a rising star in London’s fashion industry, recently relocated to a village in the Cotswolds where she met Ian Mabry, an RAF pilot whose family owned the local pub. For a time, Alex thought Ian was “the one,” but he turned out to be just another heartbreaker. Now Alex is looking forward to a trip to Knights Bridge, Massachusetts, to attend the wedding of her American cousin, Dylan McCaffrey to Olivia Frost. She has a particular interest in being present for the ceremony since she designed and made the wedding gown and the bridesmaids’ dresses. She also hopes her visit will allow her to avoid Ian and make it easier to begin the process of forgetting him. To Alex’s dismay, she arrives in Knights Bridge to find that Ian has also been invited to the wedding. To make matters worse, both English visitors are staying at the Farm at Carriage Hill. Not only is Alex unable to avoid her former love, but they are constantly thrown into one another’s company. Time together is exactly what Alex and Ian need to clear up their miscommunication problems. As they participate in wedding festivities, share English recipes with their American hosts, and visit the elderly woman who was beloved by Alex’s great-grandfather, another RAF pilot, they find their way to their own HEA. This novella falls between Cider Brook (January 2014) and Echo Lake (February 2015), the third and fourth books of Neggers’s Swift River Valley series. Fans of the series will enjoy the long-awaited wedding of Olivia and Dylan and a sweet touch to the poignant romance of Dylan’s grandmother and the man she loved, a war hero. Readers who like recipes mixed with their fiction will find several to add to their collection, including one for scones and one that makes Brussel sprouts sound appetizing. 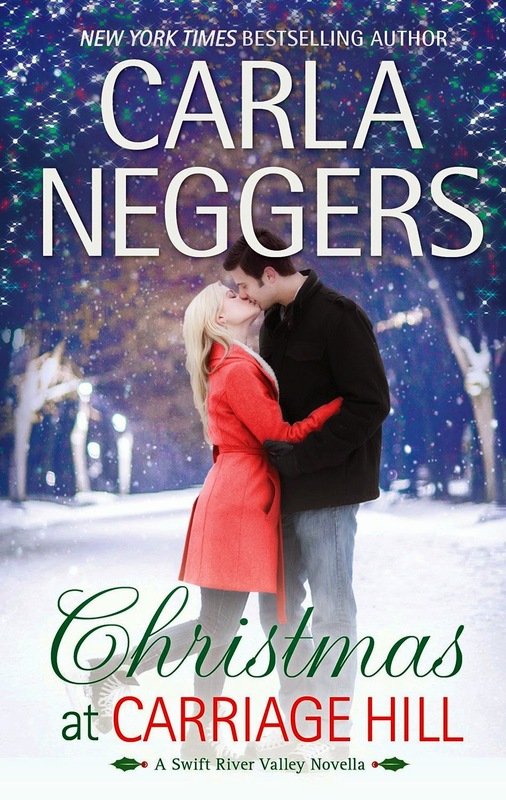 But the central romance is slight, and despite the title, this is not a satisfying Christmas story. Alex and Ian are likeable enough, but characters and plot are too thinly developed to engage readers fully. Those already invested in the series will find enough of interest to make the read worthwhile, but others may find themselves confused by references to characters from earlier books. I suggest readers unfamiliar with the series not start with the novella. I do recommend highly the first book in the series, Secrets of the Lost Summer, Olivia and Dylan’s story. Thanks for the input. I think of Have the first one on my tbr. Dont really care for novellas esp if they are not in print form. For a novella, if interested in reading it would rather get from the library. Always enjoy her books. I make a habit of reading a series in order. It prevents this kind of disappointment in characters and plot, plus it makes the books richer because of the background you know of the characters and setting.